Alterna Caviar: Anti-Aging Radiant Smoothing Lotion smooths down unruly hair eliminates frizz provides humidity-resistance and adds shine. Perfect for all hair types. A lightweight lotion which provides gentle styling control. 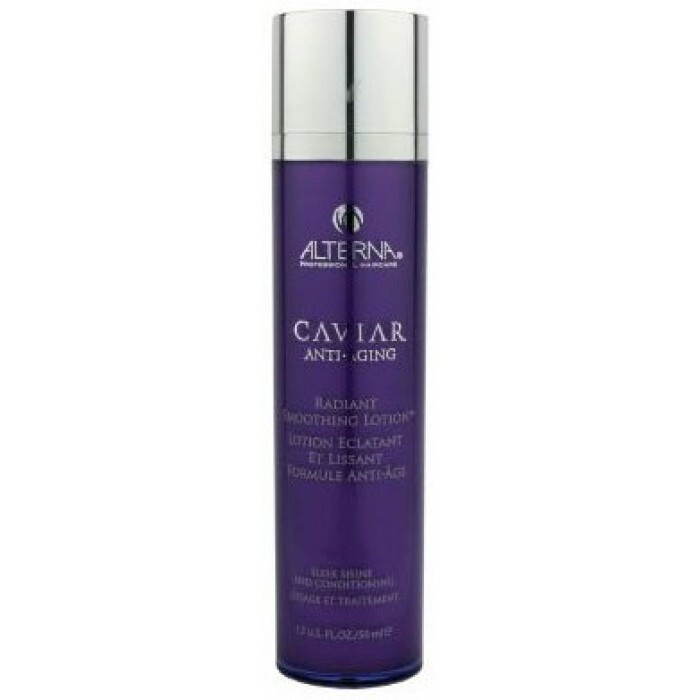 Alterna Caviar Anti-Aging Radiant Smoothing Lotion is a lightweight lotion which provides gentle styling control.Formulated with Alterna’s Age-Control Complex Caviar Anti-Aging Radiant Smoothing Lotion adds luminous brilliance for the perfect finishing touch to any style. A potent combination of antioxidant rich Rhodiola Extract and Vitamin C shields delicate hair and scalp from damage and color fade caused by thermal styling and environmental aggressors. Infused with caviar Alterna Caviar Anti-Aging Radiant Smoothing Lotion protects hair and restores its vibrancy and elasticity while leaving hair smooth and silky. - Caviar extract works at the molecular level to repair the hair follicle and add moisture to hair. - Cytokines are active organic compounds that are proven to be effective in stimulating protein production. - Vitamin C a proven heavyweight anti-oxidant prevents external oxidative damage to hair color and structure.